Summer is here and that can only mean one thing – lots of lovely events to raise funds for THHN. 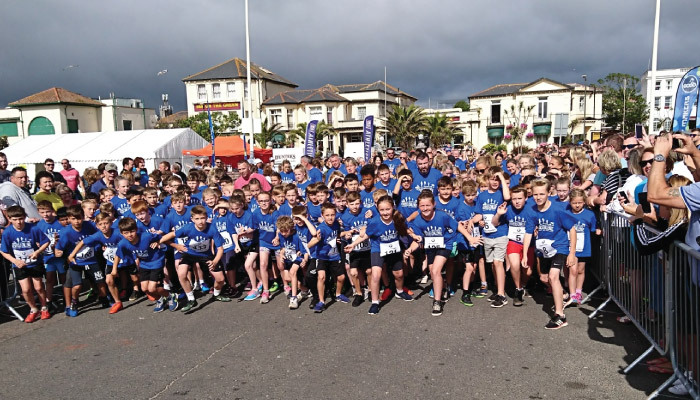 A highpoint of the past couple of months was the fantastic Torbay Half Marathon, with runners raising money for THHN and, piggy-backing on the same event, the Memory Maker Fun Run and Schools Challenge. The Schools Challenge involved 450 local children. We’re now looking ahead to our landmark fundraising event of this year – The City to See Marathon and Ultra Marathon on 3 September. Never a dull moment and that’s how we like it at THHN! 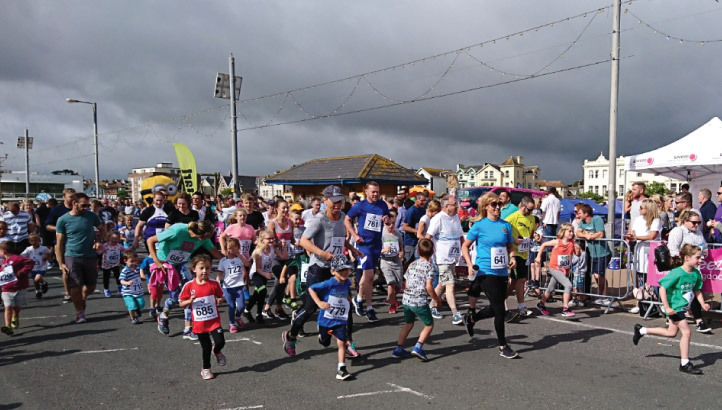 All places have now gone in THHN’s City to Sea Marathon and Ultra-Marathon on Sunday, 3 September and there’s now a waiting list. However, we are still looking for volunteers to help us run the event itself. We need marshals and check point volunteers all along the route at various times and locations – there is something to suit everyone.If you volunteer for at least two hours, you’ll get 50% off entry to the 2018 City to Sea! If you think you might be able to help, email helen@thhn.co.uk. THHN to host this events at the Torbay Half Marathon. 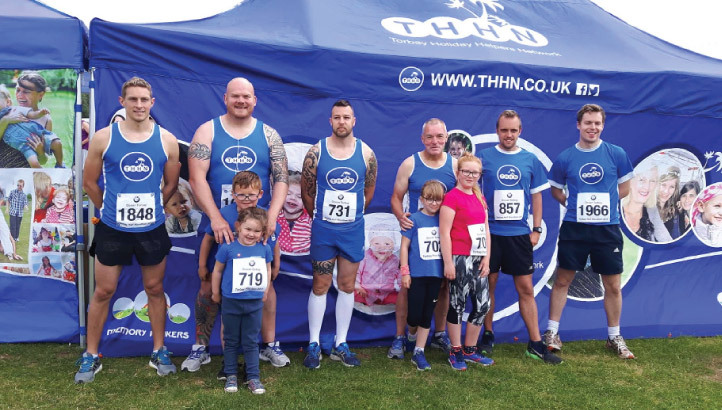 Memory Maker Man was at the Tides Marine Cup Football Match at Devon County FA in Newton Abbott on 1 June when Torbay Police Football Club, who organised the event, raised 427.25 for THHN. A huge thank you to them and to Torbay Police’s opponents, Torquay United XI. A special shout out to Torquay United manager Kevin Nicholson for putting together his team. On Sunday 23 July THHN was the beneficiary of the Gentleman Jim Charity Cup at Stoke Gabriel Football Club. Two matches on the same day saw Torbay Police Legends pitted against Plymouth Argyle Legends and Torbay Police, captained by ex-England and Aston Villa star Lee Hendrie, taking on the Chelsea Foundation. This fantastic day raised over £1,000 for THHN. Lights, camera, action for THHN! THHN was the lucky recipient of film buffs’ generosity on 17 June, when we received £2 from every ticket sale to the English Riviera Film Festival. Taking place at the Riviera International Conference Centre, the event was a day-long celebration of motion pictures, featuring the 2017 English Riviera Film Awards, UK premieres, industry Q&As, fx make-up, virtual drones and more. On 15 June, THHN received its biggest donation of 2017 so far! 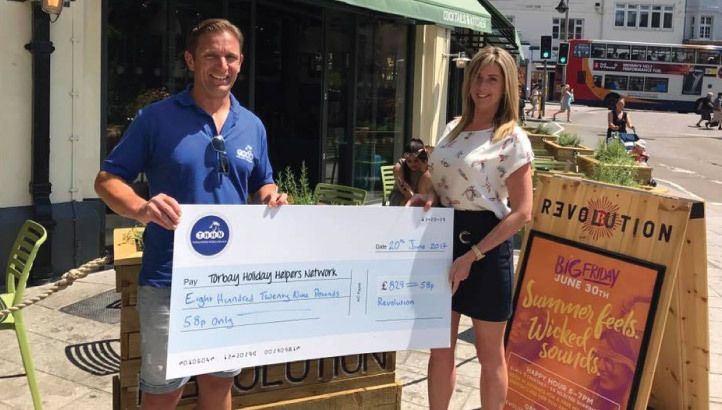 Our friends at Westerleigh Group in Torquay presented THHN founder Luke Tillen and our business relations manager Rebecca Davies with a cheque for an incredible £7,553.94! Westerleigh run Torbay cemetery and crematorium and raised the money over the last 12 months through the company’s crematorium recycling scheme, in which metals that would otherwise be buried, are recycled. We are extremely grateful to Westerleigh for this generous donation. Torquay bar and restaurant Revolution held a charity day on 7 June and chose us! They invited diners to “pay what you feel” for their food with the profits donated to THHN. 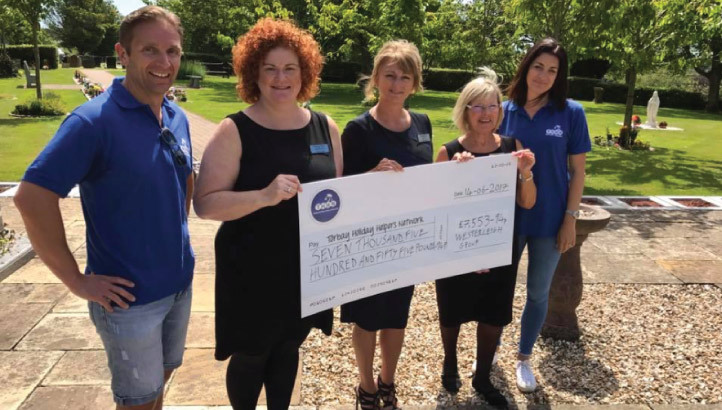 As a result, we received a cheque for an amazing £829.58p – a donation that will go towards providing more memory-making holidays for families living with serious illness and bereavement. Thank you so much, Revolution. In June and July, THHN provided a number of families with summer holidays to remember at our Memory Maker caravan, Glendower B&B, Ashley Court Hotel in Torquay and the Marine Hotel, Paignton. Massive thanks are due to our amazing business supporters and to our dedicated team of volunteers, who all work so hard behind the scenes to make it possible for THHN to provide such special memory-making holidays for families from across the UK, all them living with serious illness and bereavement.